Flow Lend is a mobile application that allows Flow prepaid customers to request a credit advance (loan) for their account. 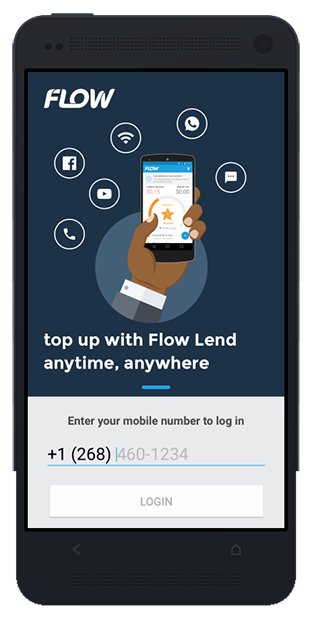 Flow Lend loans can be used for voice calls, data/Internet and sending SMS. 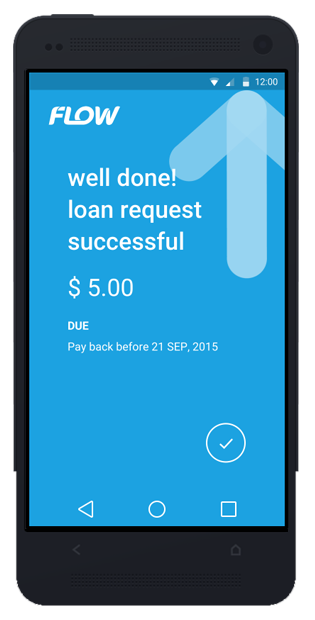 Flow prepaid customers with Android and iOS devices can access and use Flow Lend. Call 1-800-804-2994. Our agents are ready to answer your question. When is the launched date for Flow Lend? Flow Lend will be launched in Anguilla in August 2016. Can a Flow Prepaid subscriber request Flow Lend? 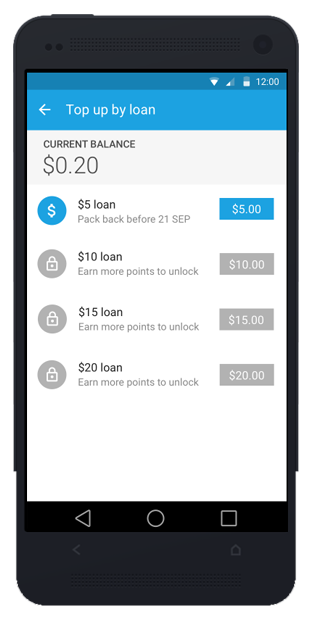 Once a Flow prepaid subscriber approaches a balance of $2.50 or less, Flow Lend will analyze their top up history. If he/she qualifies, Flow Lend invites the prepaid subscriber to download the app via SMS in real time. When the Flow Lend loan is awarded, the subscriber will receive a confirmation of their new balance and the re-payment date. If the request has been turned down, Flow prepaid subscriber will be informed that they are not eligible at the moment. The prepaid subscriber’s loan will go into their current balance and a separate account will keep track of their outstanding balance. Can a non Flow Prepaid customers request Flow Lend? No, non Flow prepaid customer are unable to request a loan. Can a Flow postpaid subscribers request Flow Lend? No, Flow postpaid subscribers are unable to request a loan. What are the available loan amounts can a prepaid subscriber request? Depending on your Flow Lend User Level, loan amounts will vary.